The fishing is great in Tampa Bay! Tampa Bay is a unique body of water. 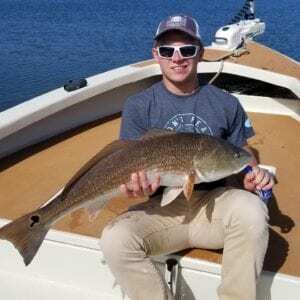 It covers over 450 square miles and offers some of the most diverse fish catching opportunity’s of anywhere in Florida. 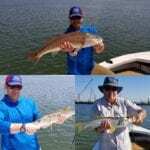 The bay is a breeding ground for a variety of species including Snook,Redfish, Trout,Sheepshead, Magrove Snapper, Grouper and Sharks just to mention a few. We are very fortunate to have such a great place to fish. Most people don’t realize what a diverse fishery we have. 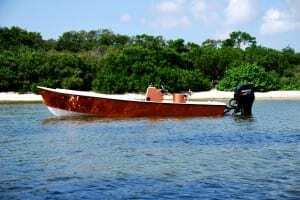 Just a short boat ride and you can be fishing many of the artificial reefs, rock piles and other structure that can be found with in the bay. These areas are home to Gag Grouper, Goliath Grouper, Mangrove Snapper and a variety of other bottom dwellers. The mangrove lined shorelines offer a sanctuary for other fish such as Snook and Redfish. Fishing the open grass flats produce some quality catches of Spotted Sea Trout. Out in the open waters of Tampa Bay where the bait pods gather many times we will find large Spanish Mackerel feeding on them. This past month we have had some great catches. All of our fishing is done on light tackle so it keeps it both interesting and challenging. This past month we caught Mangrove Snapper, Cobia, Redfish, Snook, Goliath Grouper,Spanish Mackerel, Spotted Sea Trout and a variety of other fish that kept the rods bent. October is a great month to catch fish. Book a charter and enjoy what Tampa Bay has to offer. Read our reviews on Trip Advisor. We are a Top Rated fishing charter for a reason! 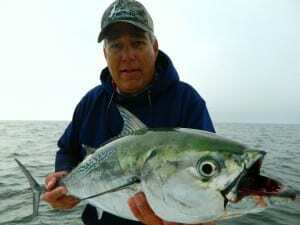 You can also call Captain Steve directly @ 813-727-8843 to book a charter.